Work for Square Point of Sale? Learning about Square Point of Sale? "Great app for sales on the Go!" Helps us collect money easier for field service calls. Customization is easy with items and projects. There is not much to dislike, except that the Contactless/EMV reader costs $50 per unit. We have three field service techs and currently assign a Square magnetic swiper to each one at a total cost of $30. The ability to pre-authorize a charge before settling would be nice. An easier import process into our accounting software would also be appreciated. Keep in mind the price of EMV/Contactless readers. Having the ability for our field technicians to charge for the work they do on site has saved the back office a ton of time in dealing with account receivables and collection. "Perfect Sales App for Trade Show"
This app only works with a WiFi connection. Without that, you can still use it and charge different credit card but you may take the risk that the credit card is invalid, and have declined credit card and payments. You need a fast WiFi connection to use without any problems. Sometimes, it could be kinda slow.. I recommend this sales app if you need an easy app to make different credit card payments for any shows, event , b2b or b2c. You can transfer all products or services you need and add any discounts you wish related to any specials. With Square Point of Sale, you can charge all the different credit card and make different payments for any events, shows. You can easily add any products you wish and add different discounts if you offer different specials. It is simple to use, secure for valid credit card and avoid declined ones. You can after make some different reports and track all your sales and do same sales analysis..
"Very simple all in one point of sale software." Can use the all in one set up on an ipad available from them or make your own set up with an ipad.. Also can be run straight from your phone. Can be used on the go and as a locked down set up. Low fees and instant deposits are available. It really is perfect for the solo business owner. Would be perfect for one location restraunts, retail stores, farmers markets, artist booths, taxi cabs, even delivery places taking payment upon delivery. I could see needing some more advanced options in a more complicated business. Also some of the more advanced software programs charge higher fees but can do more advanced things like payroll and taxes. Easy all in one solution to bookeeping and the taking of credit cards and cash for small businesses in a much cheaper starting point that some of the legacy options. "Square Point of Sale "
I like how I can customize it to best suit my business & the needs! It allows for modifications and adaptations that can be used when I need them and how I need them. I wish there was a way to go back, after a sale has been completed, and add a customer name to that sale. It would be very convenient to do when it was forgotten to be added prior to completion of sale. If you want a convenient and fairly affordable device that is reliable, this is a great payment solution to consider! We are able to take more payments and added a new payment method! This has provided convenience to our clients! Now we can use our tablet for a point of sale at events and still use our point of sale via the virtual terminal on our desktop/laptop computer! "Perfect for the Little Guys"
I love that I have a free swiper and that I can charge cards. As a small time author, this is a HUGE step forward for my business and brand; I don't have to ask for Cash. Learn how to really use all the tools at your disposal. Make sure you set up an inventory for counting purposes and make sure you keep it all organized. I needed to sell books, and cash is a rarity these days. Having a tiny reader is a godsend. "Best payment processor for traveling entreprenuer"
It is so quick and easy to use! If you have your phone with you (and you always do), and WiFi or cell signal, you can take credit card payments. If I had to pick something I don’t like, it would be the fees involved. It really adds up and eats into the profit. Fast payment, easy to use, great for on-the-go or traveling businesses. Only brick and mortar stores used to have the technology to run credit cards. If you were a small business conducting sales outside of a storefront, you would have to tell people, “sorry, I can’t take cards.” Being able to take the number one form of payment, whoever and wherever you are, has immensely helped small businesses. "An Integrated POS System that allow our business to be open 24/7"
Integrates with our online scheduler and booking system, Acuity. I like there new invoice deposit feature. Customers can save their card for future payments and share feedback on their transaction. I wish they would allow us to run more than one loyalty program at one time. Clients can dispute transactions and if their bank does not agree with you, they will not provide you for a service rendered. For example we had a customer come to our business in 2017. He booked our venue to celebrate their child's birthday. We ordered pizza and cupcakes from an outside vendor, provided out of pocket purchases (party goods) and paid staff to work his party. After the party he complained and ended up getting a free party. we were left with the full $800 bill, this just didn't seem fair at all, in anyway shape or form. If you heard about Square from someone else, they do offer a referral credit. Refer them if they inadvertently referred you. I saw it at another business and didn't realize they had a referral code to share with me, for when I signed up. The cashier could have easily told me more about it for the company's benefit. Because it integrates with our scheduling system, Acuity - we can accept payments 24/7. "Great Point of Sale System "
I love the user friendly application, and the set up of the dashboard. Square makes our business run a lot smoother. The amount of information I can find, including customer trends,Sales trends, customer information, and inventory tracking makes our sales team way more efficient. "Square has been a god send for my small buisness"
"Great Point of Sale System"
The ease of all the tools, I also like how I can also use the PoS on any device, so even If I am traveling I can still make a sale from the use of my phone. I wish that the basic online store would allow you to import shipping rates or at least be able to make weight based or order based shipping. Currently I can opt to have a Flat-Rate Shipping charge per order, or have a shipping charge on each product. So if someone makes a small order, its still quite a charge, but if they make a big order I feel like I am losing on shipping costs. I use it as an online store as well as in a retail location. This allows us to collect sales online. "Great aid for small businesses"
Square is a fast, easy way to use credit cards in a mobile environment, such as artists' markets, and easily transfers customer money to my bank account. Plus, it's pretty widely used, so customers trust it. You get the simple scanner for free, but it's pretty flimsy, so you really want to buy one of the nicer ones. As an artist, I attend a lot of festivals and markets, and increasingly, people don't have cash or checks available. Square has solved that problem; it's fast and easy, and that appeals to customers. "Works great for accepting credit cards"
I have one vendor who pays me by a new credit card per job every time so square has a customisable menu where I click on that vendor an the amount to charge is automatically entered. When inputting credit cards manually square charges a higher percentage rate then a swipe transaction. Check the transaction percentage rate and any other fees and choose the best rate with no fees. Being able to take payment by cash, debit or credit card. 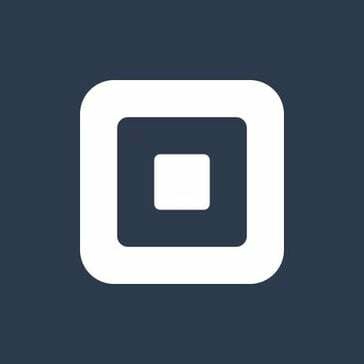 "Square POS from a Small Business Owner." I like that it is readily accessible anywhere in the major stores if I need another reader. I like the ease of use in setting up the Inventory and Sales entries. I like the fact that its compact and plugs into your cellphone or tablet and the apps dont take up alot of space. Square also sends really cool stuff to put up to show that you are a accepted credit card merchant. Fee is really, REALLY high at 2.9% per swipe. Could stand to be a little bit lower to compete with other providers. The one thing other that I dont like is there is no strap to keep a hold of it. It is VERY easy to lose if your using just the credit card reader. Im not really having any problems with this, the benefit I have realized is that if there is a payment that needs to be made on the road, that I can have it nearby and I can immediately take a payment if needed. Square POS is easy to use on many different devices. The reports are clear and easy to comprehend. On a mobile device when you need to delete a payment this can be difficult. Square POS has been a very positive experience for me. I recommend it as it is user friendly, and consistently developing without leaving you feeling like you have to upgrade to the next best model. Having multiple employees who work separate hours using POS gives me the opportunity to have my business bring in income at all hours, and my employees can take payment whenever they need to, not being tied to any one location or docking device. Everything! The fees are low, it offers instant deposit, and I like not having to worry about receipts or any papers for that matter. With previous systems I had to remember to hit settlement, or wait for the papers to print out, etc and that was a hassle. Nothing so far! I haven't had any issues. your first square is free, they offer loans after so long, and the customer service is great. 10/10 would recommend! Again, it's nice not having to print out reports or hit settlement at the end of the day. Faster than other systems and more user friendly. "super useful for checkout at markets and festivals"
I love how it is portable, my line of business is based on traveling locations at markets and festivals. fast and easy for clients who are in a hurry. the charge per sale is not that bad either. I don't like the slide machine that hooks to my phone. usually when doing a transaction, I physically type in the card information. I am able to keep track of my sales and clients. I can send receipts and give returns if needed. The price. I got a free credit card reader and the app was a free download. That it doesn’t have its own website abilities. You have to download other assisting apps for that. If your starting up, this is a wonderful way to start it will compliment your business with style and ease. To be able to make sales anywhere I’m at. "I used Square POS at my retail job and it did the bare minimum." The visual interface of Square POS was nice. When you were checking a customer out you could easily see the product and select it. As the store I worked at started to sell a wider variety of products it was difficult to locate these within Square. I had to try to search key words and sometimes had a lot of trouble locating the product. This software is great if you don't have a lot of products in your store. I could usually quickly check out my customers and didn't have to bother with barcodes and sku's. 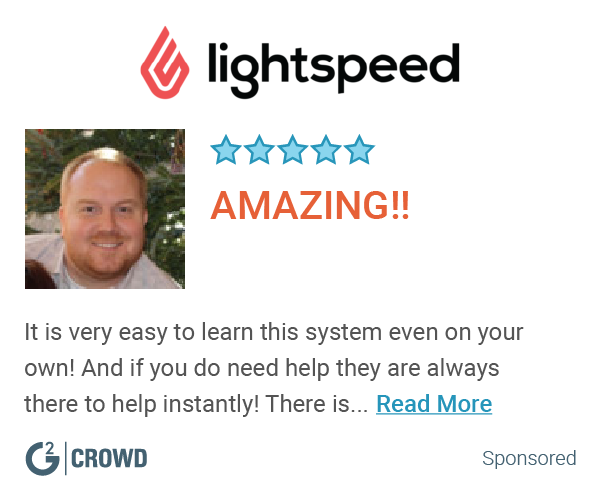 "Great software that makes running your business a breeze." Very nice interface that is simple for anyone to use. Deposits are quick and convenient. Easy to use and integrate. Quick deposits and simple invoicing. Automatically creates a directory of customers during each sale. Invoicing is integrated and as easy as plugging in a few questions. "Ease of Use and Instant Profits"
The Square was very much easy to use when conducting transactions at Pike Place Market. It made the cash based system we had much easier while I was working for one of the local farms. What I disliked about the Squar system is that there is not just a specific connection for Apple Devices like an iPhone. I had to work with using a dongle which I can hardly ever find. The business problems that this is solving is that it’s allowed for a larger customer market by getting people who don’t usually carry cash. Square works great for small businesses like me. Its convenient and mobile that I can use the POS anywhere at any time. Honestly, the only this I would change with Square are their % fees that they take per transaction. Besides that, Square is amazing! Great Point of Sales System! Would recommend to any small business. Square solved my problems of not having to use a bulky cash register. I can easily do point of sales and transaction with ease. Looking at it the first time, it is pretty easy to use, the friendly user interface accompanied by titles and pictures for each square shaped button on the POS. Nothing.. SQUARE POS is a really great product. Fees are reasonable but looking over time, they seem crazy. Squares fees are a little hefty over time. Customers ask for a receipt and I constantly have to tell them they have to have it emailed or messaged to them from the POS. "not to square to use square"
I love being able to accept payments anywhere that I have internet. I can accept payments in the office or out on location. I disliked that I had to spend money on a chip reader, the one included should have had that option. With out the cheap reader you leave yourself open to chargebacks. This is a great tool for anyone that is accepting payments. there is a credit card fee for accepting payments but its a flat rate. With a regular system the amount you pay varies depending on what kind of reward credit card the customer is using. the ability to accept payments anywhere you have internet. "A technology that I want more of." I dont understand why all vendors use this! I love how simple it is, and all the options it gives me such as tipping, and organzing. Ive never felt more organized in our sales. it is pricey. I would think theres a way to create a cheaper system and would like to see it happen. our merchandise store uses this technology to sell items and keep track of orders. Everything works great, and they have great customer service. I like that Square POS makes it feel like you are in control of your business. Utilizing Square allows for payment anytime and anywhere you are. As a consumer, I also feel like I trust Square and I know there isn't any funny business with my cash as a spender. I have no issues with the square app. Any issues typically arise from the vendor. Square allows for ease of checkout when there is not a physical POS system in place. Square serves the same purpose without clumsy installation and is essentially fool-proof. Simple and basic for my every need. I can use this on my tablet or cell phone. Even without internet. How the layout for inventory is. I think it could be better. "Square point is on point "
I enjoyed the fast easy way to purchase products from different business owners. Sometimes internet service is slow and transaction is delayed. I use it to sell personal items and have it connected to my paypal account. It’s very efficient to keep record of transactions. I like the ease of use, convenience, and that it is inexpensive. It can take a few attempts for the card swipe to work. Having customers be able to pay with credit card. This is a very affordable, compact way of offering this payment system. Square PoS is simple & user friendly. Using this layout on an iPad and adding different types of items, sales, discounts, & so on is quick & easy. There isn't much that sticks out that I don't like- the percentage of sales that are taken are lower than most banks and other services, but combined with the price of operation, it can seem a bit excessive. The chip reader is the most frequent accessory to malfunction. Sales, refunds, giftcards, tracking revenue. best credit card processing system compared to others. you can get access to your sales instantly for very low fee. "Square Point of Sale Review"
My favorite thing about Square Point of Sale is how simple the product is to use and implement into our everyday workflow. Overall Square Point of Sale is a quality product and I haven’t experienced any issues with it. Square Point of Sale helps us keep sales quick and easy. A benefit I’ve realized is that using better software can make processes move faster and be more efficient. "Great Way for Artists to Sell Merch"
I use this with an artist I manage - as their merch transaction on the road. It's easy to keep stock of inventory and easy to teach for volunteers to use. Some of the software could be updated to be a bit easy to navigate - but otherwise it's great! Ability to accept credit card transactions while on the road. "Easy to use for anyone "
The ease of this program is amazing, payment processing is easy, end of day reports take two buttons. Not able to add a gratuity to checks, split payment a little confusing. Ease, being able to collect payment different ways. The card reader and app both work pretty good . The card reader doesn't catch the card swipe. It is a quick app and i can get more customers fast. "Great easy way to collect funds"
The ease and the reliability of the app. I think they charge a little too much!!! * We monitor all Square Point of Sale reviews to prevent fraudulent reviews and keep review quality high. We do not post reviews by company employees or direct competitors. Validated reviews require the user to submit a screenshot of the product containing their user ID, in order to verify a user is an actual user of the product. Hi there! Are you looking to implement a solution like Square Point of Sale?